Preeclampsia is a disorder that occurs only during pregnancy and is characterized by high blood pressure and protein in the urine. Preeclampsia typically begins after 20 weeks of pregnancy. This condition affects at least 5-8% of pregnancies worldwide.1 About 1 in 6 women with a history of preeclampsia will get it again in a future pregnancy. It is usually mild and generally has very little effect on pregnancy. What factors can increase my risk of preeclampsia? How can I manage preeclampsia? 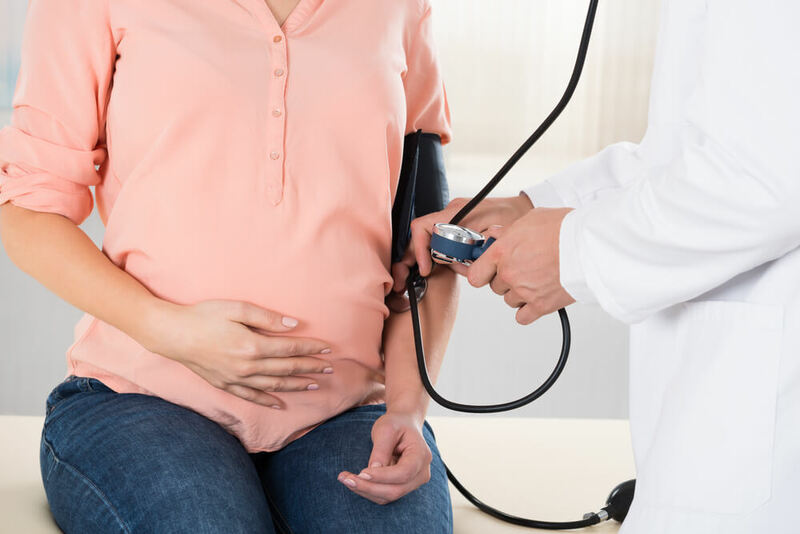 Your doctor might treat you with blood pressure medications along with advising bed rest and dietary changes if you have severe preeclampsia. Preeclampsia generally goes away after birth. However, you might need to continue taking your blood pressure medicine and may need to stay in the hospital for some extra days. When you go home, you will be advised to get your blood pressure checked often. You should visit your doctor 6-8 weeks after birth for a final blood pressure and urine check. American Pregnancy Association (APA). Preeclampsia. Last updated: August 2015. Available from: http://americanpregnancy.org/pregnancy-complications/preeclampsia/. As accessed on: 6/5/2016. Royal College of Obstetricians and Gynaecologists (RCOG). Pre-eclampsia. Available from: https://www.rcog.org.uk/globalassets/documents/patients/patient-information-leaflets/pregnancy/pi-pre-eclampsia.pdf. As accessed on: 6/5/2016. Preeclampsia: Risk factors. Last updated: 3/7/2014. Available from: http://www.mayoclinic.org/diseases-conditions/preeclampsia/basics/risk-factors/con-20031644. As accessed on: 6/5/2016. Top 10 Protein Foods. Available from: http://www.webmd.com/diet/top-10-protein-foods. As accessed on: 6/5/2016.